Muslim spending on cosmetics is expected to grow from $46 billion in 2013 to $73 billion by 2019 to account for over 8.2 percent of global expenditure. 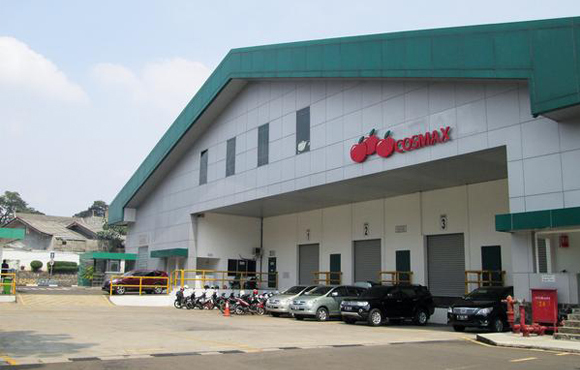 It has kicked off producing 50 halal-certified products at its Jakarta plant in Indonesia, gearing up its efforts to capture the burgeoning global Halal cosmetics market. The ministry refuted the reports and rumors, saying though the government is reviewing the plan of building a halal food-processing complex, it has no plans to employ Muslim workers there. 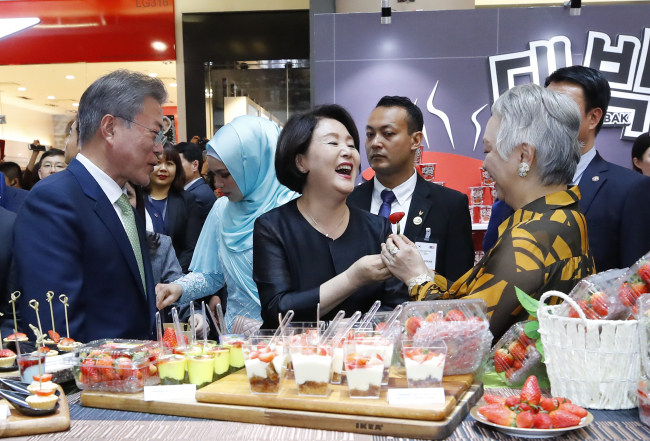 The K-Food Fair in Dubai comes after the Korean government signed a memorandum of understanding with the Arabic country in March this year regarding halal food. The newly acquired halal certification is set to pave the way for the coffee chain to expand its presence in the Middle East, according to Caffe Bene. 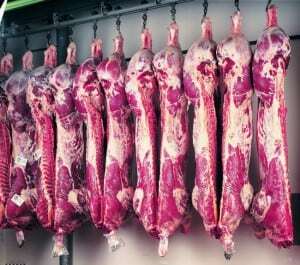 Six people have been charged for their alleged involvement in the mass sale of fake halal food that appears to have affected Muslims nationwide. A specialized education curriculum for companies seeking to enter Islamic markets is set to open for the first time in Korea. Korea’s first Halal industry exhibition will take place in Seoul from Aug. 7 to 9. A large number of high-level personnel from Halal organizations will attend the event. The Korea Agro-Fisheries and Food Trade Corp. (aT) has stepped up efforts to help increase outbound shipments of halal certified food products to Islamic countries. The government plans to issue “halal” certificates to at least 140 restaurants nationwide, where Muslims can eat food without worrying about the ingredients. The National Assembly Research Service (NARS) suggested in a report that comprehensive research and studies on the Middle East and its food market be carried out first. Korean food products will be seen more and more in predominantly Muslim countries in the near future. This is because Korean food makers have been actively receiving halal certification for their foods and assembly lines. Talent Cosmetics became the first Korean cosmetics brand to receive the Malaysian government’s halal certification. Nongshim, the nation’s largest noodle maker, has spearheaded the trend. They gained halal accreditation from Malaysian institute Jakim, last year. 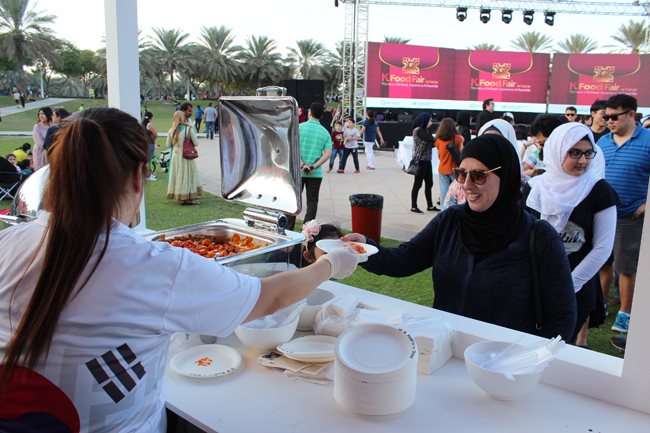 Industry stakeholders said investors are increasingly looking opportunities to make investments in halal food products to capitalise growth in this untapped market across many geographies. Korea Malaysia Trading Sdn Bhd hopes to increase its sales revenue by 50% in 2014 from RM40mil to RM60mil after gaining halal certification from the Department of Islamic Development Malaysia (Jakim). The change was driven by an explosive growth of demand for Korean food in populous Muslim countries such as Indonesia, Malaysia and Pakistan.